You've heard of snowboarding and surfing in Uruguay, but what is sandboarding? Sandboarding is a sport rumored to have begun with Egyptians, but it more likely started in the 1940s. People love to sandboard in Uruguay, Brazil, Argentina and anywhere else that features dunes. Instead of relying on snow or water, sandboarding participants glide along smooth sand using wooden boards that are similar to skateboards, only longer and wider. The sport became more popular during the 1960s and 1970s when surfers and skaters got more into sandboarding and began talking about how fun it was. Unfortunately, snowboarding gained momentum during the 1980s, so boarding publications ceased featuring sandboarding as frequently, and it wasn't until the late 1990s that sandboarding became hot again, most likely due to the invention of the Race Base board, which gave excitement-seekers the ability to sandboard up to speed of 50 miles per hour. If you want to sandboard in Uruguay, it’s easy to find locations to do so! Sandboarders are known for making their own boards and for carving dunes in various locations. The main hot spots for boarding in Uruguay are located a mere 230 kilometers from Montevideo Valizas and Cabo Polonio Uruguay. People who have boarded these dunes boast that they are the best anyone will find in the world! In Maldonado Uruguay, people visiting Chiguagua Beach will love sandboarding there, and a stop at Punta Colorada is a good idea as well, as the terrain there is excellent. What about Rocha? Don't despair; in Rocha Uruguay, sandboarding locations abound. One of the most well-known is Barra de Valizas, which measures in at 100m, but don't forget Santa Teresa's Park. Additionally, those wanting to board on beautiful white sand and be surrounded by lovely views should go to Cabo Polonio, with 75m of space. More skilled sandboarders might be looking for a place with ramps so they can build up speed and sail through the air. Their best bet in Rocha is Balizas La Paloma that comes in at 150m. The terrain is super challenging and there are natural ramps to board! Finally, Valizas features natural downs, so visiting there is worth a boarder's time, too. If you want to sandboard Uruguay, don't forget about these locations in Canelones, either. There is Las Vegas-Parque del Plata, which boasts short but challenging, sturdy ramps useful for doing tricks. Additional locations to try out are Parque del Plate, Solymar, Shangrila and El Pinar. No matter which stop travelers make, sandboarding opportunities abound while you explore Uruguay. Whether you are someone who is very familiar with sandboarding or someone who has never heard of it until you happened about this website, it is clearly an exhilarating sport. 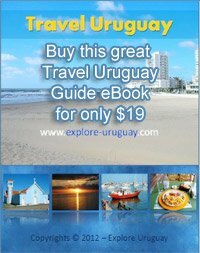 Uruguay is an extraordinary south american country that offers plenty of sites to sandboard, so why wait? Get ready to sandboard Uruguay today!